Nat Sherman, one of the oldest and most well known tobacco retailers in the country, as well as a premium cigar brand, first opened its doors in 1930; located on Broadway in Manhattan, NY. 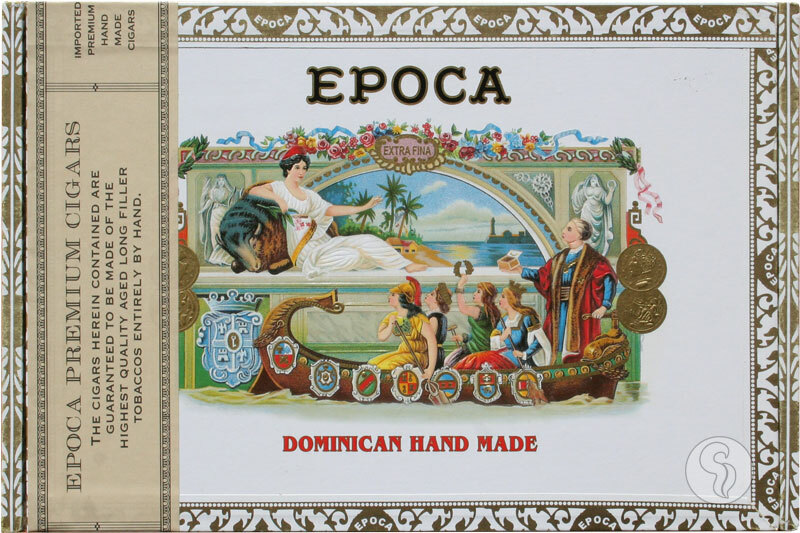 The retailer sold premium tobaccos, including its own brand of cigars called Epoca, a Cuban leaf cigar made in Tampa, FL. The brand was Nat Sherman's avenue into the cigar industry, building the company into the successful brand it is today. Now, Nat Sherman has made the decision to relaunch the Epoca brand, with the intention of providing cigar enthusiasts the chance to experience a cigar as they smoked in the 1920's and '30s. Though it is no longer possible to include the use of Cuban tobaccos, the blend has been crafted to honor the original profile, being made at Manuel Quesada's factory in the Dominican Republic. Cuban-seed Nicaraguan and Dominican tobaccos are draped in a gorgeous Ecuadoran Connecticut wrapper, making for a creamy smoke with notes of leather, nuts, earth, and floral qualities. Try the new Nat Sherman Epoca today and experience the history of a cigar that built the great Nat Sherman brand.